Raise your hands if you are a fan of crocodiles! 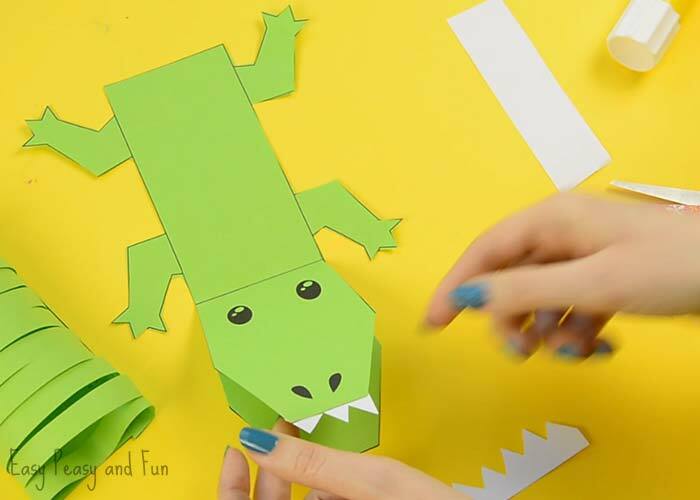 Well or at least cute paper crocodile craft projects, as we have a super fun one to share with you today! 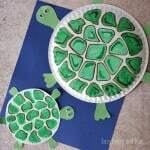 This is a great one to do with your kids, especially if they are working on their scissor skills as there is lots of cutting involved. 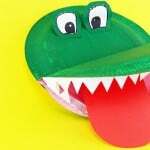 We think crocodiles are seriously cool. 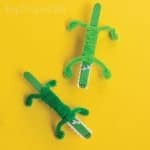 Alligators too! 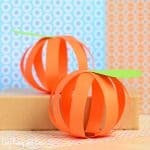 We also think paper crafts are seriously cool. 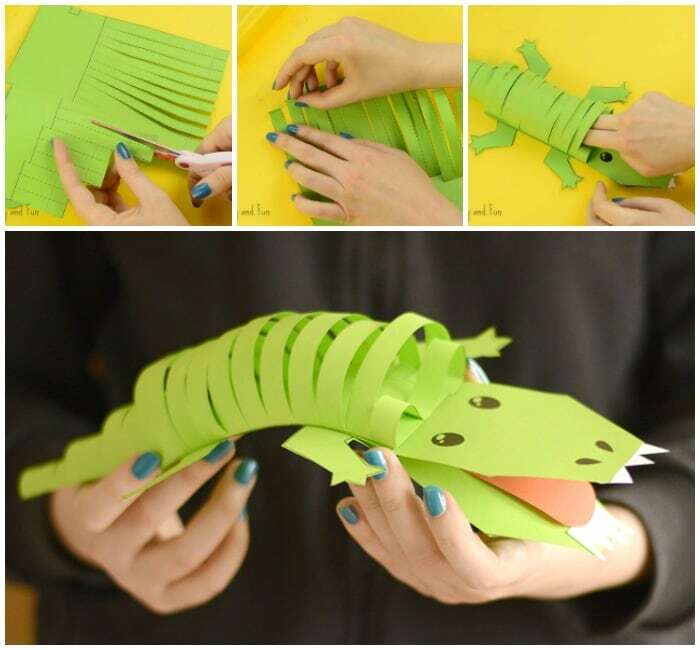 So paper craft + crocodile = double awesomeness. 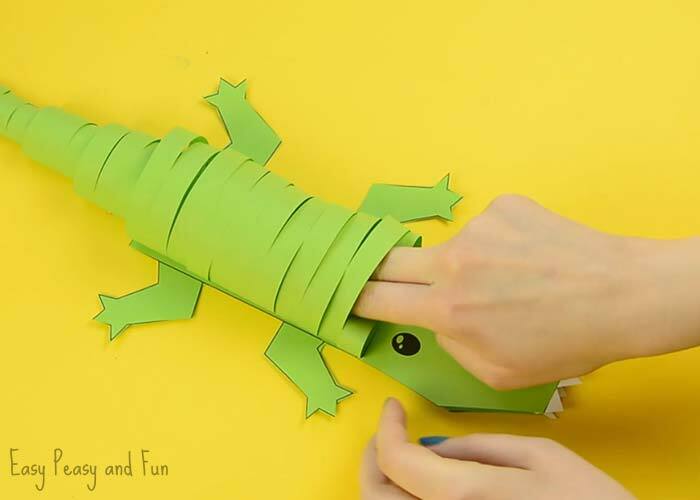 Now that you have everything you need let’s make some funky crocodiles! Print the two sheets (template bellow). Cut out the two shapes, following the outline. Take the shape that has the dashed lines indicating the strips. Cut along the dashed lines. Cut, cut, cut! 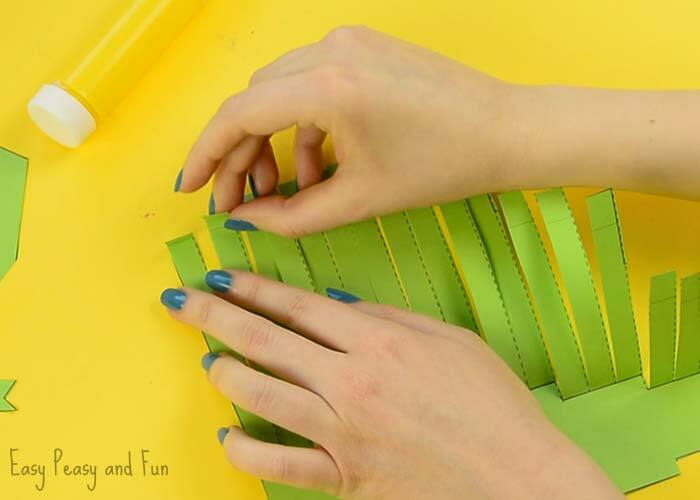 Fold all the strips of paper as shown on the image bellow. Unfold. All the strips also have a non-dashed line at their ends. 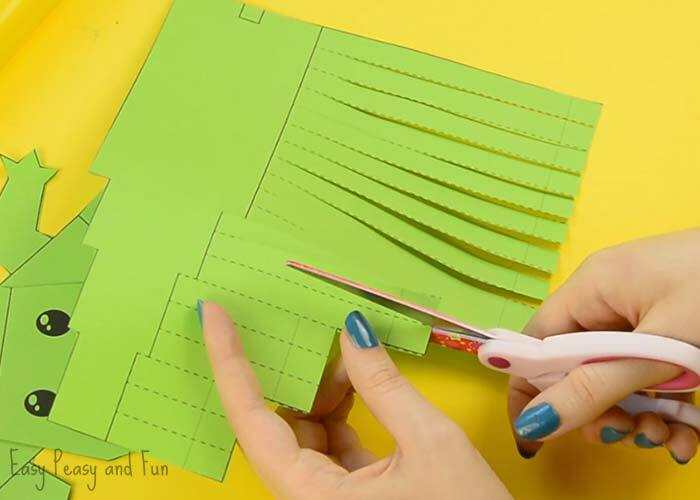 Fold those too. It is time to use the glue! 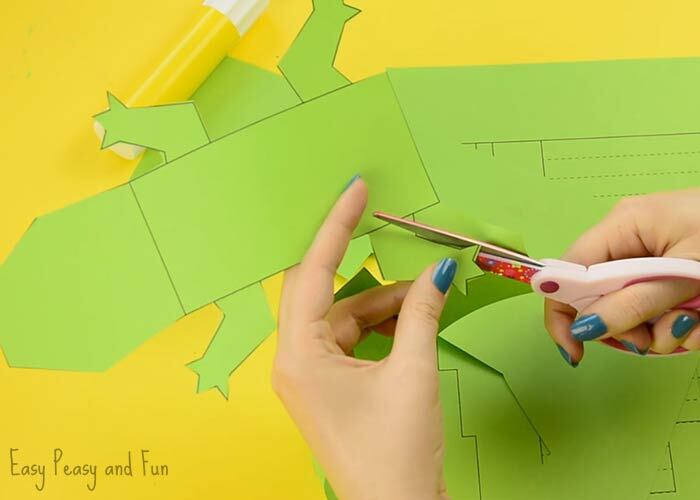 Apply glue, either on the small part you previously folded or on the base. Glue the strips on the base making loops. 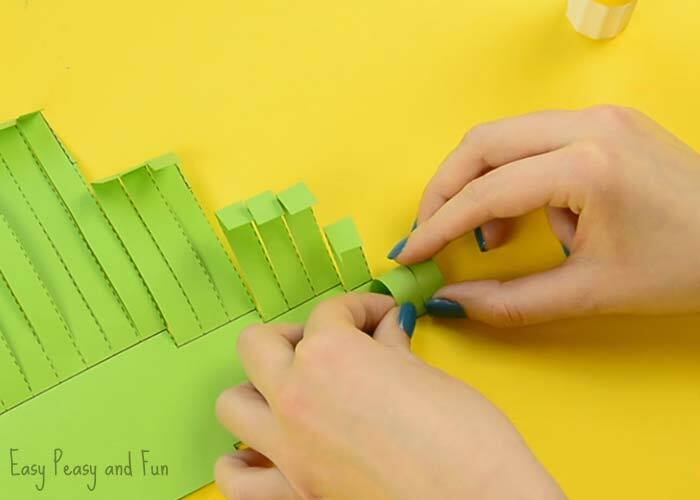 Important: start at the “tail” (smaller strips) as the other way around is way harder to work on. Work your way through all the strips. When you have glued the last strip, apply a bit of glue in the small square that you see on the base. Press the last loop down (in the middle) to glue the middle to the base – you will get two smaller loops – these will make nice arches above the crocodile eyes. We finished with this part. Now take the head part and glue it on the body part (the one with legs), making the jaws. 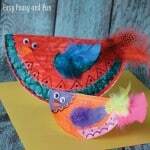 You can decorate the yaws by adding some sharp teeth and a long tongue. 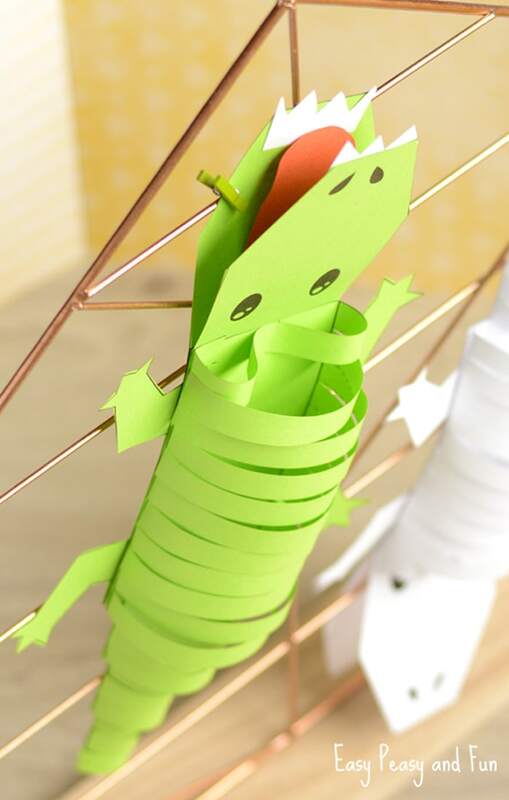 Your crocodile paper craft will certainly up it’s coolness factor with this simple touch. 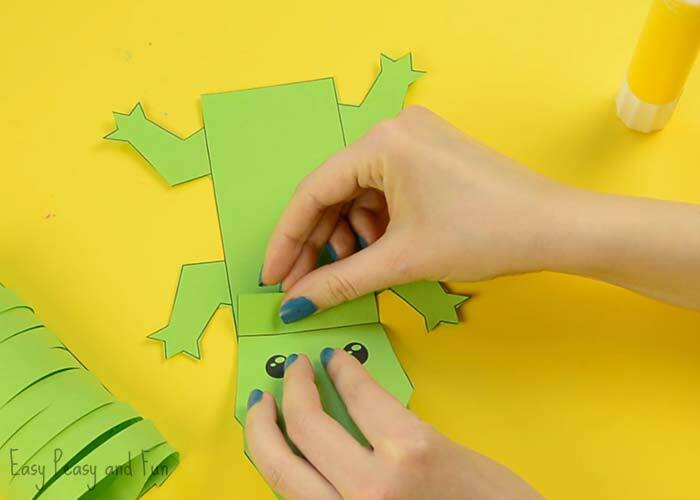 Apply a good amount of glue on the body part (the part with the legs), withing the large square. 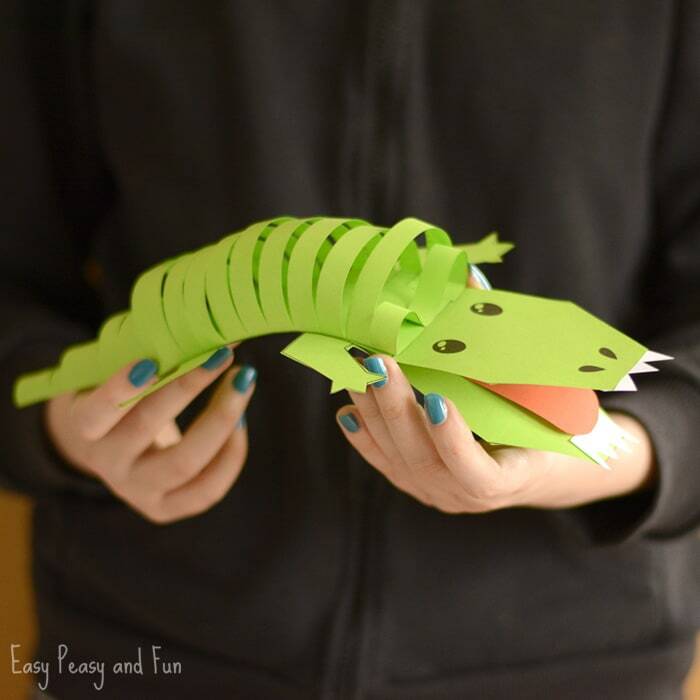 Take the crocodile back and tail (the looped part) and press it onto the body, nicely gluing it together. Allow the glue to set.